Stop! If you listen to 5 podcast episodes a week you shouldn’t be here. You’re an expert. You should be here. Don't be a serial killer — Share the love. WHETHER you’re cleaning the house, out for a run, or dismembering a body, there’s no better way to pass the time than listening to a gripping true crime podcast. We’ve leafed through the iTunes podcast directory in search of finding 35 of the best true crime podcasts available right now. For this list in particular we’ve focused on episodic true crime shows, where the host delve into a new crime with each new instalment. 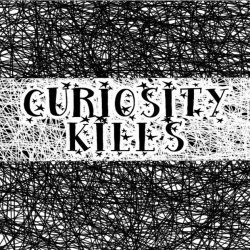 In Curiosity Kills, two American hosts laugh and swear their way through weird, wicked and wacky stories of true crime you have to hear to believe. The show is different to most in the genre, but we ultimately added for one simple reason: You might just absolutely love it! To find out whether you’ll dig it, we suggest you listen to Episode 55 — Jimmy Hysell & The Murder of Samantha Burns. Curiosity Kills comes in at number 35 on our list of best true crime podcasts. Heard this podcast before? Leave it a review. Small Town Dicks is definitely worth your time. Two hosts, two detectives, unlimited crime. Yeardley Smith and Zibby Allen, two friends fascinated by true crime, sit down every week to discuss and hear real stories of assault, robbery, murder, burglary, sexual abuse and child abuse, from their friends, Dan and Dave, who are detectives in “Small Town, USA”. 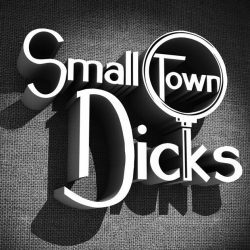 Small Town Dicks comes in at number 34 on our list of best true crime podcasts. Heard this podcast before? Leave it a review. Jim Clemente is a former special agent in the FBI’s criminal behavioral analysis unit. Laura Richards is a former violent crime analyst at Scotland Yard. Liza Zambetti is the casting director for the long-running CBS crime drama series, Criminal Minds. 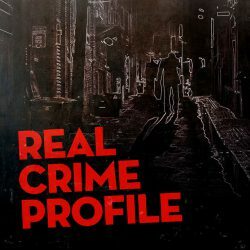 On the Real Crime Profile podcast they form a panel of experts that dives deep into profiling the criminals who have committed some of the world’s gravest personal atrocities, from Charles Manson to Dirty John’s evil protagonist, John Meehan. Real Crime Profile comes in at number 33 on our list of best true crime podcasts. Heard this podcast before? Leave it a review. It’s a podcasting crime Taaron Gorbahn, the host of Monograph, only ever published 6 short episodes, because if he’d released more his show would’ve probably come in at #1 on this list. Ultimately, we couldn’t put it higher (and questioned including it at all) because of the briefness of each episode and the small sample of episodes. But Gorbahn’s knack for storytelling, his delivery, his production, the emotion he conjures… superb. 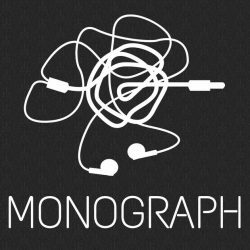 If you’re a podcasting purist, we strongly advise you take the time to listen to Monograph, for nothing other than its artistry. Monograph comes in at number 32 on our list of best true crime podcasts. Heard this podcast before? Leave it a review. With his growing popularity in the US, Jack Luna looms as a true crime host to watch over the coming years. 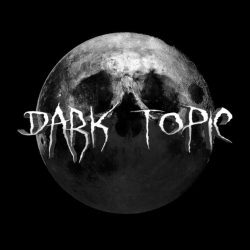 His show Dark Topic: A True Crime Podcast is impeccably moody and his gloomy delivery draws you into the worlds he depicts, of murder and sorrow. If you’re new to true crime you might find this style dark and somewhat peculiar, but what can’t be denied is Luna’s spooky and gripping storytelling demeanour, which eventually draws you in even as you try and resist. Dark Topic: A True Crime Podcast comes in at number 31 on our list of best true crime podcasts. Heard this podcast before? Leave it a review. The brutal death of an Amish woman at the hands of her husband. A brilliant military doctor pursued over the slaying of his young family on a US Army base. The Secret Service tracks down a notorious money counterfeiter only to find his criminal deeds are far more sinister than expected. All these stories and more are researched and told over the podcasting airwaves in True Crime Couple by a young quirky couple from their apartment in New York City. 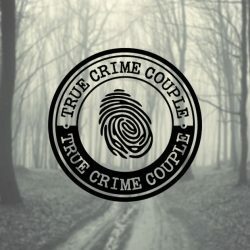 True Crime Couple comes in at number 30 on our list of best true crime podcasts. Heard this podcast before? Leave it a review. Listen to the first two minutes of The Co-Ed Killer (episode released on 2 November) of Pretty Scary and tell me one of those voices doesn’t belong to Jack Black (it’s not really, I checked). If you like your true crime told seriously, with the appropriate mood and tone, this show won’t float your boat. It’s a few hosts who share laughs and inject casual snippets of kinda irrelevant conversation in amongst the crime stories they tell. But if you prefer your true crime told in a lighter, less formal way there’s a good chance you’ll really enjoy Pretty Scary (it works really well as an in-the-background podcast). Pretty Scary comes in at number 29 on our list of best true crime podcasts. Heard this podcast before? Leave it a review. The unique oratory stylings of Richard O. Jones inevitably grows on you as you delve further into the True Crime Historian back catalogue. Speaking with a deep American drawl, Jones tells his tales of crime and woe with great matter-of-factness and knows how to deliver a good line. The true richness of this podcasts come from the simple storytelling mastery that Jones commands and you’ll turn dreary work commutes and gut-busting gym sessions into wild adventures if you tune in here. 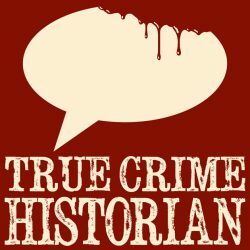 True Crime Historian comes in at number 28 on our list of best true crime podcasts. Heard this podcast before? Leave it a review. What’s interesting about True Crime and Mysteries, and what sets it apart from most other podcasts in the genre, is the authenticity of the hosts and their apparent efforts to leverage their show to do more than just tell crime stories. Episodes like 30A and 30B (about human trafficking) and the Special Episode about child grooming reveal the hosts to have motives that go beyond just feeding the popularity of the genre to make a few advertising dollars. I’m a fan for that reason alone, but the episodes stand on their own feet for their enjoyment value. The show has a particularly Americana bent, but it does delve into cases from the UK, Canada, Australia and other parts of the world. 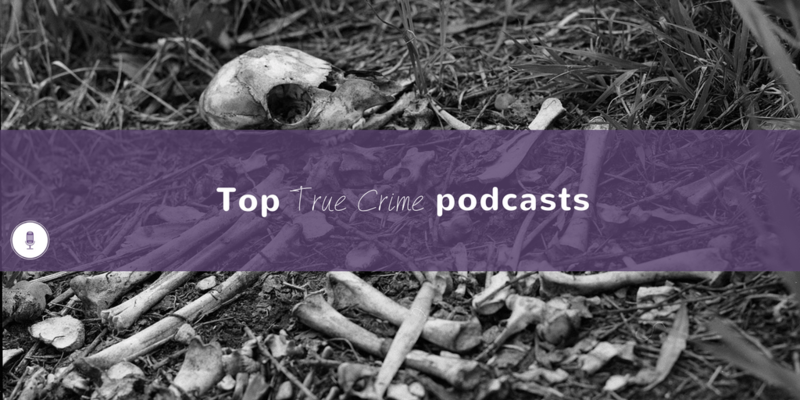 True Crime and Mysteries comes in at number 27 on our list of best true crime podcasts. Heard this podcast before? Leave it a review. Felon is all kinds of dark and chilling. 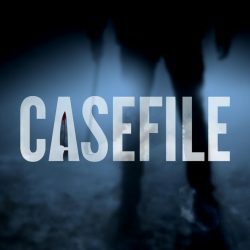 Similar to Casefile in its format and delivery style, the host describes his show as “The underbelly of the land down under” and backs it up with disturbing stories of brutality and murder. There are a few “light” crime shows included in this list, but this is certainly not one of them. The host deserves full credit for his ability to pair the frightening stories he tells with a tone that gives them maximum impact. If you love dark and broody true crime tales told in an equally dark and broody manner, we’re fairly certain you’ll absolutely love the Felon True Crime Podcast. 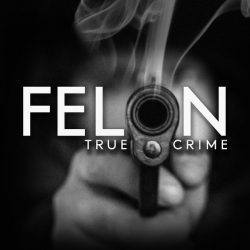 Felon comes in at number 26 on our list of best true crime podcasts. Heard this podcast before? Leave it a review. 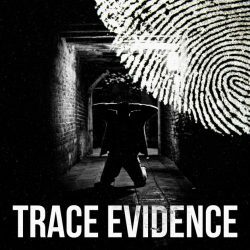 Having launched in 2017, Trace Evidence is still a relatively new true crime podcast but is growing quickly in popularity. The great power of the show comes from the broadcasting ability of host, Steven Pacheco, who deserves praise as a fine independent storyteller. Focussing primarily on missing persons cases and unsolved crime mysteries, if you’re new to the true crime genre, or you’re returning for a new dose, you won’t go wrong exploring Pacheco’s work on Trace Evidence. Trace Evidence comes in at number 25 on our list of best true crime podcasts. Heard this podcast before? Leave it a review. Want well-told true crime podcast episodes pleasantly narrated for easy and engaging listening? 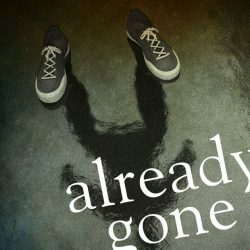 The Already Gone Podcast — True Crime is probably what you’re looking for. An American host tells her tales with great pace, interjecting important details with skilful timing to build the tension and intrigue of each story. Expansive but interesting detail is given of the backgrounds of countless victims and perpetrators, which helps to personify what would otherwise be near-storybook characters. If you’re in the mood to be enthralled but not petrified by your next dose of true crime, give the latest few episodes of the Already Gone Podcast a good listening over. Already Gone — True Crime comes in at number 24 on our list of best true crime podcasts. Heard this podcast before? Leave it a review. 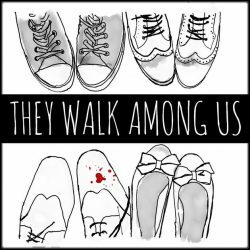 They Walk Among Us is one of the few podcasts included in this list from the UK and is a catalogue of episodic true crime with a British focus. Told by a narrator with the perfect voice for delivering his chilling subject matter (you’ll know what I mean when you start listening), you’re bound to find episodes that win over your attention. A good place to start is Season 2 – Episode 8, an instalment about the life and crimes of the very troubled, Stephen Farrow. 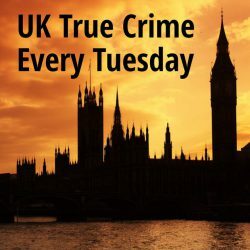 They Walk Among Us — UK True Crime comes in at number 23 on our list of best true crime podcasts. Heard this podcast before? Leave it a review. If you love true crime podcasts but get a bit creeped out listening, UK True Crime Podcast might just be in your sweet spot. The show lacks a bit of production polish and the host doesn’t exactly have Walt Disney’s knack for storytelling, but the episodes are engaging and not as dark as others in the genre. Bottom line: If it’s the mystery and the rich and dark investigative “who dunnit” story telling that rocks your crime-listening boat, this won’t scratch your itch, but if you’re just looking for some easy listening true crime tales, this one’s for you. UK True Crime Podcast comes in at number 22 on our list of best true crime podcasts. Heard this podcast before? Leave it a review. Two hosts, one weirdly-sounding bartender, plenty of boozing, and lotsa crime. There’s nothing encrypted about the title of this show, Martinis and Murder. The hosts get together, they booze up, and they talk about murders. Oh, and sometimes they also eat food, and booze up, and talk about murders. This may or may not annoy you, depending on where you stand on podcast hosts chewing+drinking+talking at the same time. If you don’t mind it, you’ll have fun with this podcast. It’s light, it’s conversational, and it’s super easy to while away hours of listening time. 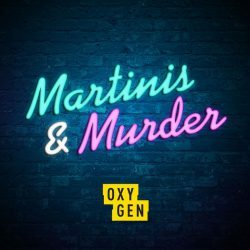 Martinis & Murder comes in at number 21 on our list of best true crime podcasts. Heard this podcast before? Leave it a review. SBS, known for its unique and probing journalistic storytelling has a podcast. It’s called SBS True Stories and it takes on the uniqueness and rawness of its television counterpart. Except for season 3, each episode in the first couple of series is told by someone with a special perspective and story to tell about a crime they experienced or witnessed. Each instalment is short and easily accessible for a newcomer and, as a body of work, the podcast is richly rewarding. I’d start with season 3 (a 5-part investigative look into Adelaide’s gay-hate murders) and work your way back. 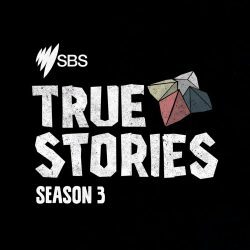 SBS True Stories comes in at number 20 on our list of best true crime podcasts. Heard this podcast before? Leave it a review. You know you’re going to love a true crime podcast when one of the first episodes you land on is about the slaughter of the Clutter family in 1959, made infamous by Truman Capote’s 1966 groundbreaking nonfiction novel, In Cold Blood. The hosts of In Sight, Ali and Charlie, have together covered dozens of true crimes since the show’s launch in early 2016, from the missing Beaumont children to the disappearance of William Tyrrell. 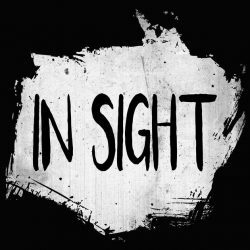 In Sight comes in at number 19 on our list of best true crime podcasts. Heard this podcast before? Leave it a review. Jeffrey Dahmer, the necrophiliac murderer who cannibalized his victims. Dr. Death, the British doctor caught intentionally and covertly killing the patients who trusted him. Edmund Kemper, the Co-Ed Killer who was released from custody for killing his grandparents only to orchestrate a string of horrific slaughters on college students. Since 2014, The Generation Why Podcast has profiled the worst serial killers of all time, the world over, and put together a body of podcasting work that all true crime fans should explore. 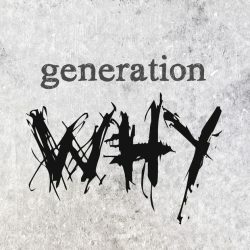 The Generation Why Podcast comes in at number 18 on our list of best true crime podcasts. Heard this podcast before? Leave it a review. 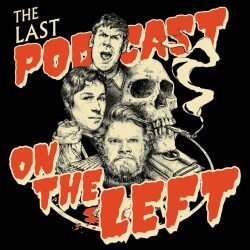 Having launched in 2015 and now with a back catalogue of hundreds of episodes, the Last Podcast On The Left (which also appears on our list of the best funny podcasts of all time) balances morbid true crime with light-hearted comedy. From the haunting crimes of black widow serial killers to the murderous misdeeds of Canada’s deadliest serial killer, Robert Pickton, the show is definitely only suitable for an adult audience, but if you love black comedy and want to hear broody real-life stories laced with outlandish jokes and impersonations, this one’s for you. Last Podcast On The Left comes in at number 17 on our list of best true crime podcasts. Heard this podcast before? Leave it a review. Hosts James Pietragallo and Jimmie Whisman (who also host the Crime in Sports podcast, also featured in this list) go deep on the crimes committed in small towns across America. From a quadruple murder in Sarah, Mississippi to a trio of bodies found charred in a burnt-out car in Manistique, Michigan, Small Town Murder is the perfect blend of goofy comedy and gritty crime. 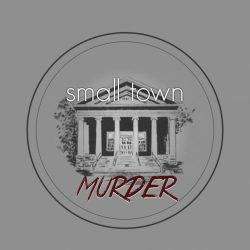 Small Town Murder comes in at number 16 on our list of best true crime podcasts. Heard this podcast before? Leave it a review. 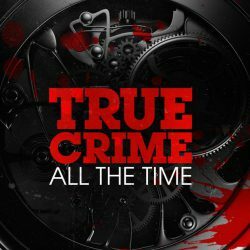 From the murder of a 53-year-old woman in Ohio to the disappearance of Madeleine McCann, Nic and the Captain leave no crime unturned on True Crime Garage. 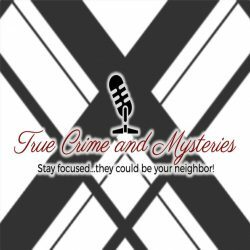 Sampling craft beers from all over the world as they narrate their crime tales, the show is one of the more ebullient crime podcasts on the iTunes market and makes for easy listening. With a focus on the crimes, the victims, and the criminals who commit them (the likes of Ted Bundy, Jeffrey Dahmer, OJ Simpson, and hundreds more), if you want your true crime served with a pint of obscure beer, this one’s for you. 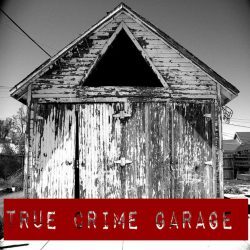 True Crime Garage comes in at number 15 on our list of best true crime podcasts. Heard this podcast before? Leave it a review. The Vanished Podcast will have you enthralled without a doubt. The host has great control over the narrative of her subject matter and does a fabulous job of delivering her findings to the listener. As the name suggests, the episodes focus primarily on missing person stories and the host does a fantastic job of finding people connected to the crimes, like family and friends, to get their incredible insights. 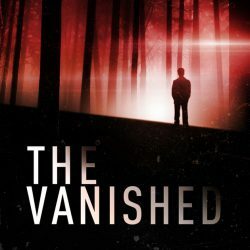 The Vanished Podcast comes in at number 14 on our list of best true crime podcasts. Heard this podcast before? Leave it a review. 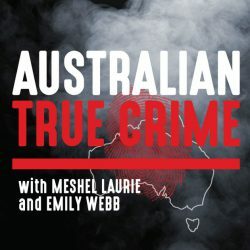 Aussie comedian, radio host and TV presenter Meshel Laurie hosts Australian True Crime with fellow podcaster and friend, Emily Webb. As the name of the show suggests, Laurie and Webb focus predominantly on local Aussie crimes, covering a range of topics from corruption-led-murder in New South Wales in the 1980s to the crimes emanating out of the Calabrian Mafia’s stranglehold over the small farming town of Griffith. As is expected of a seasoned radio broadcaster (in Laurie), the episodes are brilliantly told and the production-quality is superb. Best of all, there are untold gems of history, society and Australiana buried throughout this catalogue of Aussie true crime. Australian True Crime comes in at number 13 on our list of best true crime podcasts. Heard this podcast before? Leave it a review. Kristi Lee, the host of Canadian True Crime, is an Aussie expat living in Canada. With a palpable passion for her new homeland and its people, Lee has composed a small body of true crime work that deserves much commendation. The genuine compassion she demonstrates for the victims of the crimes she narrates gives Lee a unique differentiator as a crime host and we hope she continues to build out her burgeoning collection of Canadian true crime tales. 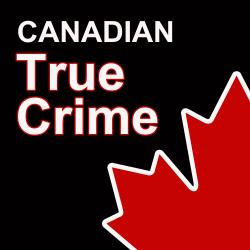 Canadian True Crime comes in at number 12 on our list of best true crime podcasts. Heard this podcast before? Leave it a review. True Crime All The Time could be your next listening gem. Two American hosts discuss and tell the stories of an endless list of some of the world’s most heinous true crimes. Peppered with levity (which seems to work), the hosts manage to take the edge off what is otherwise some pretty somber subject matter. The style isn’t investigative nor deeply probing (if that’s what you’re looking for this won’t be for you) but the hosts share a chemistry and a knack for yarn-spinning they makes it all-and-all pretty great. My listening advice would be to earmark the show for when you’re hankering for a light-and-easy dose of crime instead of an all-out head-bender. True Crime All The Time comes in at number 11 on our list of best true crime podcasts. Heard this podcast before? Leave it a review. 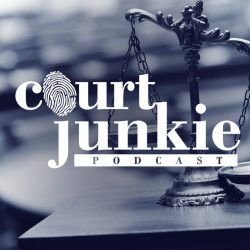 It’s no surprise Court Junkie also features highly on our list of top criminal podcasts. The highly-rated show looks forensically at some of the most vexed cases of true crime in American history. From Ohio’s youngest death row inmate to a father-of-the-year turned accused murderer, the Court Junkie team has a special focus on contentious cases where the guilt or innocence of the person standing trial is in question. Court Junkie comes in at number 10 on our list of best true crime podcasts. Heard this podcast before? Leave it a review. 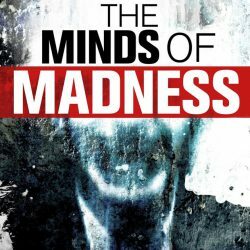 The Minds of Madness — True Crime Stories podcast featured highly in our list of top criminal podcasts, and for good reason. The show explores the psyche behind the people who commit heinous crimes, mostly to the people they know and love, and tries to dig into the why as much as the how. Having only launched in 2017, the show is still relatively new but is a must-listen for seasoned veterans and newcomers to the true crime podcast world. The Minds of Madness – True Crime Stories comes in at number 9 on our list of best true crime podcasts. Heard this podcast before? Leave it a review. With an episode catalogue dating back to 2013 and covering more than 100 instalments, Sword and Scale is a true crime product of the Wondery network. Host and creator of the show, Mike Boudet, presides over an exceptionally produced show led by his strong broadcasting and storytelling prowess, and he blends guest interviews with those involved in the crimes he profiles with the chilling 911 calls that bring the crimes to police attention, witness evidence and audio footage from the suspect interrogation tapes. 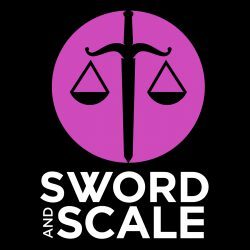 Sword and Scale comes in at number 8 on our list of best true crime podcasts. Heard this podcast before? Leave it a review. From Alcatraz escapees who may or may not still be alive to biologists who’ve made their careers testing stomach contents to work out estimated times of death in criminal trials, Criminal explores just about every true crime topic imaginable, and does it with incredible storytelling mastery. Nothing slips through their investigative traps and every episode is short and well narrated for optimal listener engagement. 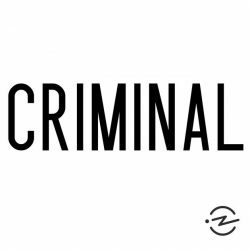 Criminal comes in at number 7 on our list of best true crime podcasts. Heard this podcast before? Leave it a review. Very different to the other shows featured on this list, Crime in Sports is a show about… crime in sports. From Jeremy Mayfield, the NASCAR driver whose wild career was derailed by his propensity for crime and meth, to the steroid-addicted tribulations of professional female bodybuilder, Sally McNeil, comedian hosts James Pietragallo and Jimmie Whisman share some of the craziest true crime stories from the sporting arena. 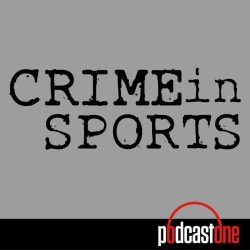 Crime in Sports comes in at number 6 on our list of best true crime podcasts. Heard this podcast before? Leave it a review. Please, do your ears and your mind a favour. You won’t necessarily find murders and serial killers if you tune in here, but you will tap into some compelling tales of deceit, corruption and all-round badness. 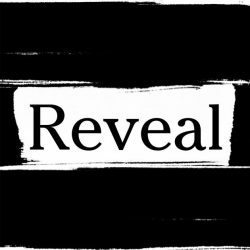 Reveal is a prominent platform for seasoned reporters to share their findings and offers a neat bundle of crafted storytelling, skilful journalism and some of the most intriguing podcast yarns ever told. To get a really quick sense for whether you’ll like the podcast or not, take a listen to a few of the more recently published episodes. Fair warning: Many of them can be confronting to listen to, but if you’re into real-world journalism that invests meaningful investigative resources to support its storytelling, then you’ll love it. Plus, all the goodness is wrapped up in a glossy layer of top-quality production by a mob that clearly has the economics in place to fund exceptional podcast journalism. Reveal comes in at number 5 on our list of best true crime podcasts. Heard this podcast before? Leave it a review. “True stories from behind the yellow tape. The ones you don’t hear on TV”. That’s the tagline for this top-shelf podcast, Detective. Each season is comprised of addictive real stories told by hardened homicide detectives about some of the worst crime scenes they responded to during their time in uniform. The rawness of the stories the men tell and the emotionally-charged perspectives through which they tell them make for episodes that you can’t resist being drawn back to. So far divided into three seasons (one told every year since 2015), the show will hopefully be back in 2018 with all new episodes, but you won’t be disappointed digging back into the archive and listening to the stories so far told. 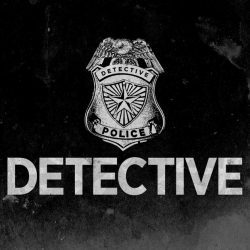 Detective comes in at number 4 on our list of best true crime podcasts. Heard this podcast before? Leave it a review. 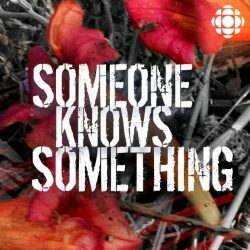 We loved Someone Knows Something so much we also included it on our list of top podcasts like Serial. In the first of multiple series of the hugely popular show, David Ridgen investigates the case of Adrien McNaughton who, at the age of 5, disappeared without a trace on a family fishing trip in 1972. In season two, Ridgen searches for answers in the case of Sheryl Sheppard who disappeared 4 days after her boyfriend proposed to her on national television, in 1998. The most recent series investigates the murders of Charles Moore and Henry Dee who were found in the Mississippi River in 1964. Someone Knows Something comes in at number 3 on our list of best true crime podcasts. Heard this podcast before? Leave it a review. Having already covered over 100 true crimes, My Favorite Murder has raked in a swag of 5-star reviews since its launch in January 2016. The show’s hosts, Karen and Georgia, have perfected the art of blending comedy with gritty crime and their kooky hosting chemistry makes for both entertaining and compelling listening. If you’re looking for a break from the brooding true crime shows you’ve been listening to, My Favorite Murder offers the perfect cocktail of felony and frivolity. 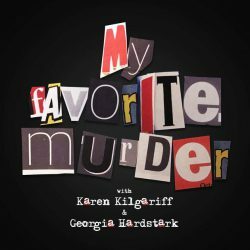 My Favorite Murder with Karen Kilgariff and Georgia Hardstark comes in at number 2 on our list of best true crime podcasts. Heard this podcast before? Leave it a review. Casefile True Crime comes in at number 1 on our list of best true crime podcasts. Heard this podcast before? Leave it a review. Discover the best podcast episodes. Everyday.